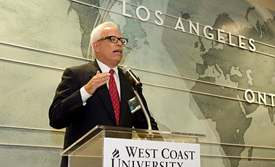 Directing the philanthropic contributions of West Coast University and American Career College, Mr. Pyle has a long history of supporting numerous charitable and community organizations. His passions include increasing access to quality health care and creating educational opportunities, particularly for the underserved and at-risk children and families. Mr. Pyle’s goal in giving is to make a measurable difference in people’s lives. He seeks to inspire and strengthen the organizations he supports and the individuals they serve. 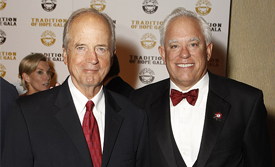 Drawing on his personal commitment to education and health care, Mr. Pyle’s targets his giving to programs that increase access to quality health care and create educational opportunities for the underserved. 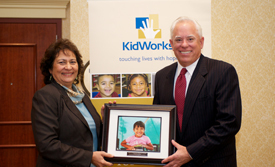 Take for example KidWorks – a program Mr. Pyle has supported for many years. This program for low-income, at-risk youth provides afterschool programs, tutoring, mentoring, health education and parenting classes, with the ultimate goal of helping kids graduate from high school. 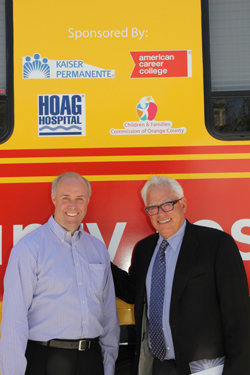 Another example is the mobile medical clinic recently obtained by the Orange County Rescue Mission. Pyle’s contribution provided the medical equipment to outfit the pediatric exam rooms providing a wide range of medical services to families in need. Programs for autistic children. Health fairs for children and families. Children’s Hospital funding. Ronald McDonald House for families with seriously ill children. Youth literacy and job training. The list of programs Pyle supports goes on and on. The good news is that David Pyle’s heart for giving is as big as the list is long.